All kind of Superfine White Flour can be easily obtained at Arti Roller Flour Industries Ltd. âï¿½ï¿½ quality-oriented business house. We offer superfine flour having high proportion of starch âï¿½ï¿½ a complex form of carbohydrates. We also manufacture superfine white flour as per clients need and requirements. 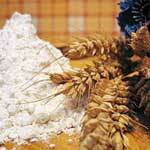 We are one of the paramount superfine wheat flour exporters, originated in India. We strictly use up-to-date equipments in the entire manufacturing process ensuring optimum quality production. Clientsâï¿½ï¿½ satisfaction is our high priority. For Rumali Roti, Tandoori Chapati, Tandoori Parontha etc.